The Performance Automatic Super Streeter Transmission handles engines up to 450 horsepower on C4 and AOD, as well as up to 550 horsepower on AODE models. It features extreme-duty clutches and bands, vastly-improved lubrication circuits to reduce heat and wear, and better thrust capabilities with firmer, crisper shifts. Installation instructions included. The Performance Automatic Competition Transmission is designed for the street/strip enthusiast with up to 750 horsepower. It combines the latest in fluid technology and track-proven durability to provide a reliable product season after season. All Competition units handle the constant punishment brought on by large cubic inch, nitrous oxide-injected engines. They feature a full manual valve body, extreme-duty clutches and bands, and special sprags for increased torque and thrust capacity. The Super Comp Transmission is the monster of racing transmissions. Track-tested and built for competition, Super Comp transmissions use only the best cores as foundations. Performance Automatic Racing cleans and inspects every part and then checks the tolerances to guarantee exceptional performance. The Super Comp features an optional trans brake valve body with full manual shift control, premium racing clutches, special sprags, hardened input shaft, and a deep, aluminum sump pan. Lifetime warranty from Performance Automatic Racing provided. If you're shopping for more than just a transmission for your Ford, then let us do some of the work for you... the Street Smart Packages are designed to fit most 60's and 70's Ford and Mercury passenger cars. Package includes a Super Streeter transmission, bell housing, torque converter, kick down cable, and dipstick with tube. All of the components are matched to your specific engine model to make for an easy installation. Street Smart Packages are the perfect selection for those looking for a C6 transmission in their Muscle Car, Street Rod or Pro Touring Machine. 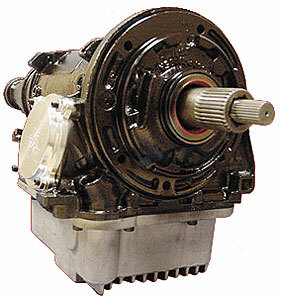 This C4 transmission is constructed using all of the parts from the famous Super Comp trans. It can handle up to 1000 horsepower and is designed for racers that need a ''Pro Tree'' type transbrake. This transbrake is the fastest in the industry. Because of the intended use, this C4 has a 1-year warranty. Built with the same internal components as the Super Comp Transmissions, while utilizing an automatic shift type valve body. Great for high power street machines driven every day. Engine must be able to supply adequate manifold vacuum to properly utilize the automatic valve body. Note: Performance Automatic Ford transmissions do not include the driven gear for a cable driven speedometer or vehicle speed sensor. The differential gear ratio and rear tire diameter are required to purchase this item separately.